When complete, this dramatic new highway will have significant economic impact. Drivers using the old road report that it can take from five to nine hours to make the 325 kilometer trip, depending on traffic and one’s willingness to risk passing slow trucks on virtually blind curves. Buses allow 6.5 hours. When completed, the driving time on the new four lane expressway will be reduced to less than three hours. Durango residents will easily be able to go off to the beach in Mazatlán for the week-end. The driving time from Monterrey or South Texas to Mazatlán will be reduced to less than a day. This could revive Mazatlán as a major tourist destination after a couple of decades of relative stagnation. Perhaps the biggest effect of the new highway will be the improved connection between the Pacific Ocean port of Mazatlán and north-central Mexico (population about 12 million) and most of Texas (about 20 million). The impact from increased trade in finished products (especially those which are relatively light and suitable for truck transport) will be significant. Shrimp from Mazatlán and many, many products destined for northern Mexico/Texas from the Pacific Rim Region (China, South Korea, Taiwan, Japan, Indonesia, Australia, etc.) will be shipped through Mazatlán and trucked from there on the new highway. We expect there will be considerable trucking/shipping in the opposite direction as well. 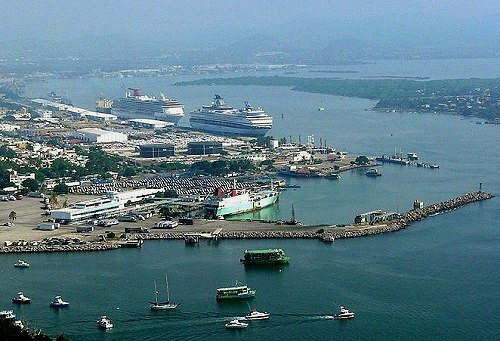 The resulting increased shipping through the port of Mazatlán will stimulate economic growth. However, to facilitate these shipments, new urban expressways should be built through or around the cities of Durango, Torreón and Saltillo. We expect the impact on the state of Durango will be less. Most of Durango’s mineral and timber products are rather bulky, not ideally suited to truck transport, and not globally competitive; therefore they will not find their way through Mazatlán to world markets. Some (including Chris Hawley in USA Today) have argued that the new highway will have an appreciable impact on drug production and trade by improving police access and providing new economic opportunities. We think the impact will be rather slight. The Western Sierra Madre (Sierra Madre Occidental) covers about 200,000 square kilometers and the road affects less than 4% of this area (assuming an area of influence 25 kilometers wide either side of the highway). In our opinion, whatever illegal drugs are currently being cultivated in the Western Sierra Madre will continue to be grown. Yes, some people along the highway will find new employment in roadside commerce, but these jobs will be rather few. Chapter 3 of Geo-Mexico: the geography and dynamics of modern Mexico discusses how the Sierra Madre Occidental influenced Mexico’s historical development. Chapter 17 analyzes the difficulties of transportation between Mazatlán and Durango. Buy your copy today to have a handy reference guide to all major aspects of Mexico’s geography!